The model A2G-52 dual differential pressure sensor combines two differential pressure sensors in one instrument, so that pressure can be measured from two different control points. 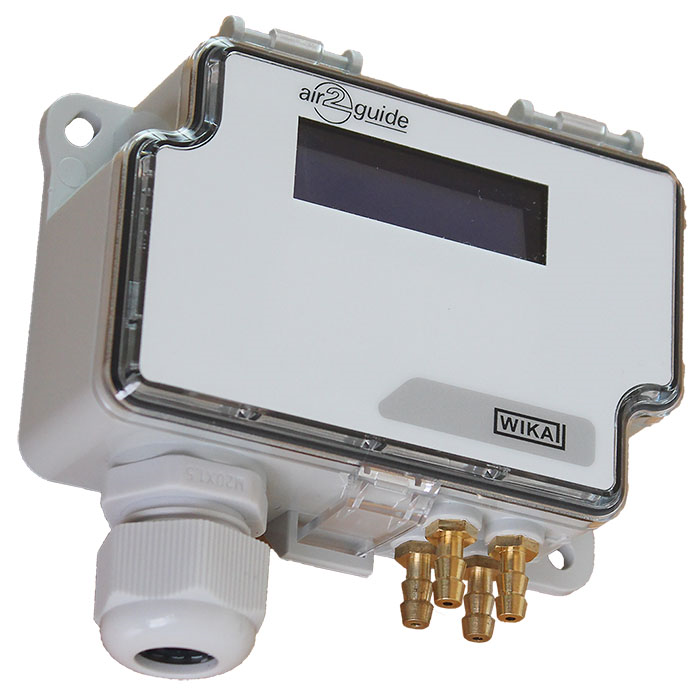 The model A2G-52 has a Modbus® interface and an input interface. By using the input interface, up to two passive temperature sensors or an analogue 0 ... 10 V signal can be connected directly to the measuring instrument. Thus, the use of cost-intensive active temperature transmitters can be dispensed with and the costs for material and mounting can be reduced.